The majority of small business owners, particularly when starting out, operate from home. There’s certainly nothing wrong with that – indeed, in the early stages, it makes a lot of sense. Your overheads are minimal, which means you can direct all your available finances into getting your business going. However, there comes a point, particularly if your business is enjoying moderate success, where working from home becomes less of a bonus, and more of an obstacle. Up until fairly recently, the obvious solution was to invest in business premises. However, this is a big step – not to mention a significant investment! The prospect of owning your own business premises, even if you’re only renting, is daunting. What happens if your company can’t generate enough revenue to cover costs? Yikes! However, savvy small business owners have identified another way of taking their company forward, without spending a fortune in the process. The answer? Self-storage units. Here’s just a few reasons why self-storage is advantageous for SMEs. Most self-storage facilities allow you to rent on a monthly basis. If you find your business isn’t generating enough profit to make the expense worthwhile, you can simply cancel your contract and move the business back home. Self-storage units are considerably cheaper to rent – which means more floor-space for your stock. Storage units, unlike business premises, don’t incur business rates. You won’t pay any additional overheads, such as electricity or gas. Again – it’s a nice way to save money! Some storage facilities will accept deliveries for you (we do! ), which makes life considerably easier. Storage units come in all shapes and sizes. If you find you need a larger space, you can simply upgrade. Numerous types of business can benefit from using self-storage. Here’s just a few examples. If you run an ecommerce store or have a shop on eBay, it’s likely you’ve got a lot of stock to hand. This can take up a lot of room at home – and using a self-storage unit makes life a lot easier, not to mention more secure. If you run a trade-based company, you probably have a lot of tools and equipment – which your other half would rather you didn’t leave all over the house! Additionally, you may frequently need to order in items for clients; such as kitchen units, light fittings and pipes. Use a self-storage unit to keep these bulky items out of the way – and create extra space to hold stock if required. If you make most of your revenue at Christmas or Easter (for example), it’s unlikely you’ll need a large storage space all year round. However, in peak season, you probably hold a significant amount of stock, and desperately need somewhere to store it all! Self-storage allows you to rent space only when you actually require it, which is a big advantage. Using your local storage facility is a great ‘next-step’ approach; a way to test the waters and see if your company is ready to expand. However, many entrepreneurs choose to use self-storage on a permanent basis – which indicates it’s an effective business tool for the long-term too! 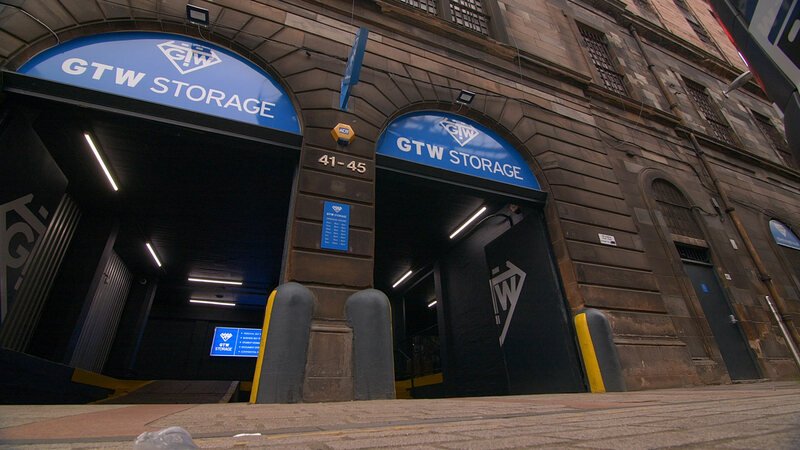 If you’re a business based in the Glasgow area, then check out our range of self-storage options online today.